Visiting a LEGOLAND theme park is not always possible for families of LEGO enthusiasts who aren’t lucky enough to live near one of their five amusement parks (two in the U.S., three in Europe, and one in Asia). Fortunately, there’s an additional option that just might be closer to home. 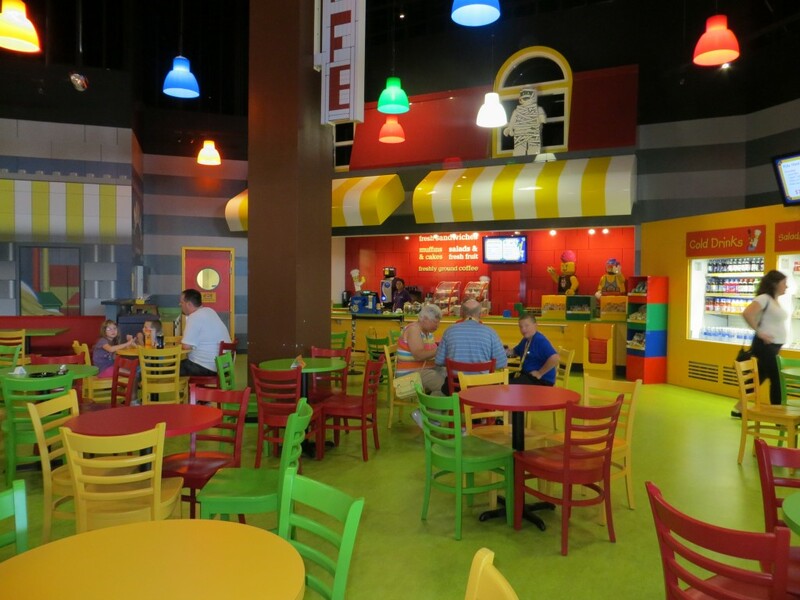 LEGOLAND Discovery Centers offer a scaled-down, indoor version of the LEGO theme parks, with six locations in the U.S. and Canada. LEGOLAND Discovery Centre Toronto opened in 2013 at the Vaughan Mills shopping centre north of Toronto and has become quite popular with parents of young children. My 10-year-old daughter and I recently visited mid-week and were surprised to find how crowded it became within half an hour of opening. Entry into the centre is controlled and tickets are limited so wise parents purchase tickets online ahead of time and select a time-slot in order to be guaranteed entry to the attraction. 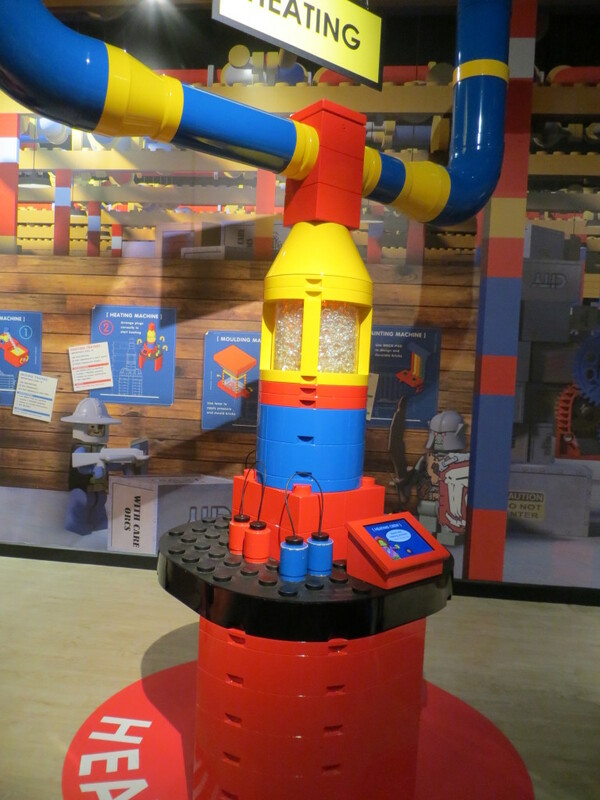 Visitors enter the LEGO Factory Tour in groups for a guided demonstration on how plastic is turned into colorful building blocks. Following the tour, you can exit the Factory area and either board the Kingdom Quest Laser Ride or head directly through MINILAND to the play area. 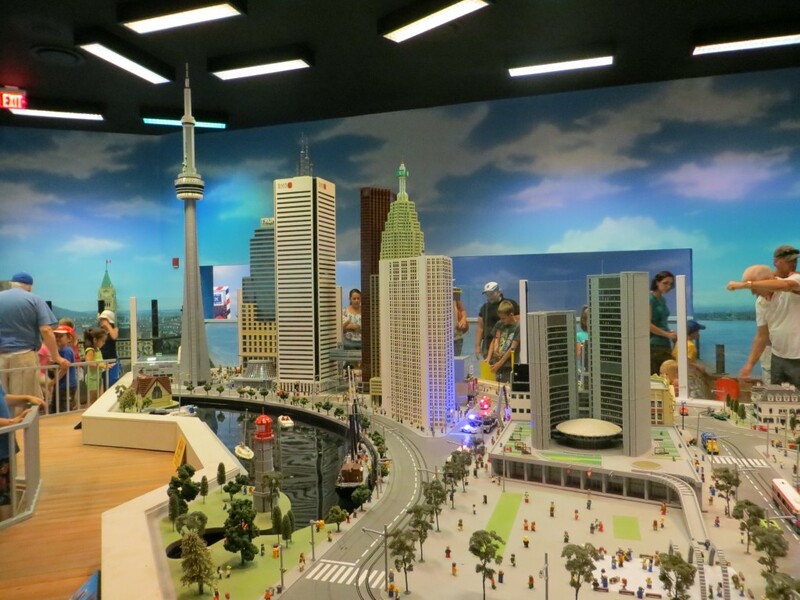 I fell in love with MINILAND when my family visited LEGOLAND California so I wasn’t surprised that my favorite part of LEGOLAND Discovery Centre Toronto was the miniature version of the city of Toronto. My daughter and I probably spent as much time examining all of the details and picking out familiar landmarks in this display as we did in the rest of the facility. 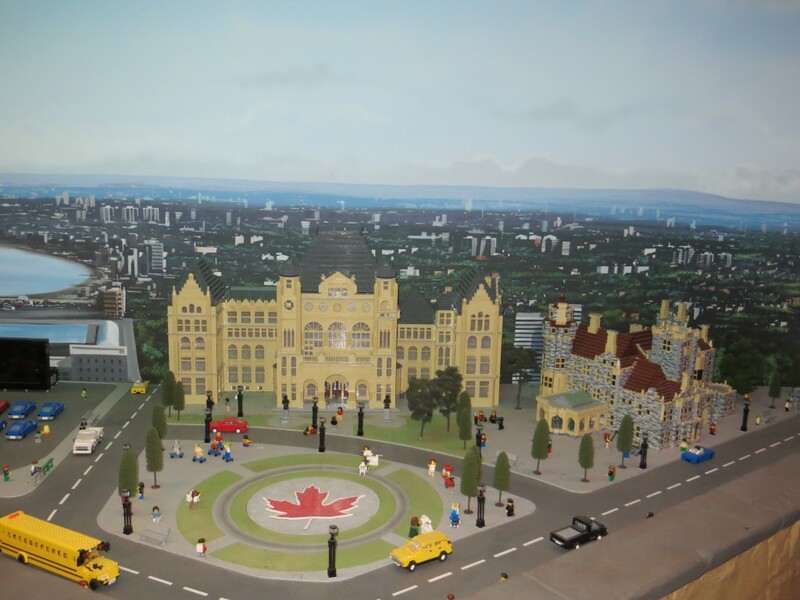 MINILAND Toronto is constructed from nearly 1.5 million LEGO bricks and includes the CN Tower, City Hall, Casa Loma, the Rogers Centre, the Air Canada Centre and many other recognizable buildings. An interesting feature of the LEGO cityscape is that it continuously cycles between day and night so that visitors can watch as night falls, the street lights come on and the Toronto skyline lights up before dawn breaks again. 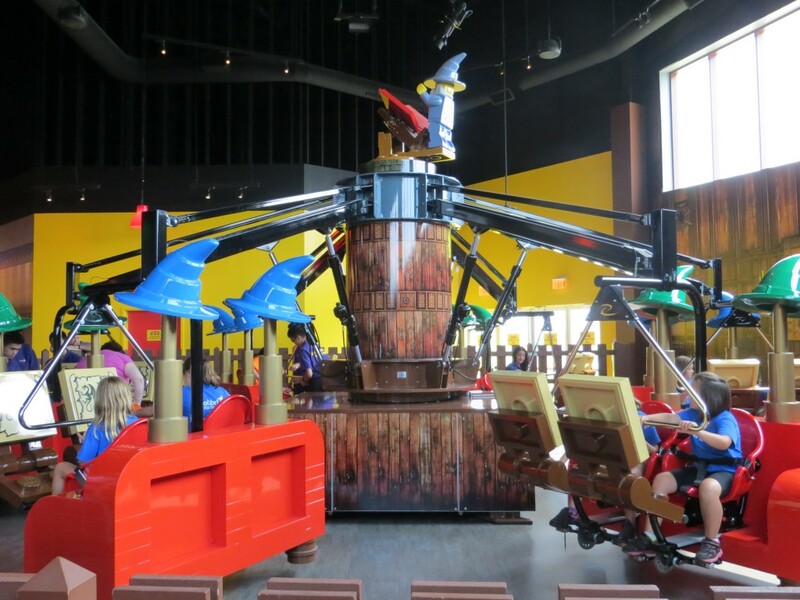 There are two rides in the Discovery Centre. For the Kingdom Quest Laser Ride, visitors board a chariot for the moving and try to hit as many targets as possible to earn points and rescue a princess. The second ride is Merlin’s Apprentice, located inside the centre’s play area. This interactive ride comes equipped with pedals that must be peddled hard if you want to soar through the air. LEGOLAND Discovery Centre also boasts 4-D cinema where viewers become part of the action. Here you can watch a 3-D movie made even more exciting with wind, rain, snow and lightning effects. All told there are over 3 million bricks in the LEGOLAND Discovery Centre. Kids can construct and play to their hearts’ content in several themed areas. At the LEGO Racers attraction, kids build and test racing machines. DUPLO Village is ideal for younger builders with its array of larger-sized colorful bricks for little hands. Older kids (up to 4.5 feet tall) can pretend to be heroic firefighters in the LEGO Fire Academy jungle gym. LEGO Construction Site is a soft play area for the under 3 foot tall crowd. My daughter has never been particularly interested in building with LEGO bricks and was too tall for the play areas but she thoroughly enjoyed building towers at the Earthquake Tables and then subjecting them to a simulated earthquake to see whether they would remain standing. She also enjoyed LEGO Friends, an area designed specifically to appeal to girls, where visitors can perform karaoke to popular songs. There’s a brightly-colored café in the play area that serves snacks, drinks and light meals. Birthday revelers celebrate LEGO-style with parties in the restaurant’s Birthday Rooms. The LEGOLAND Discovery Centre Shop offers an extensive selection of LEGO products. It can be accessed from the shopping mall without purchasing admission to the attractions. 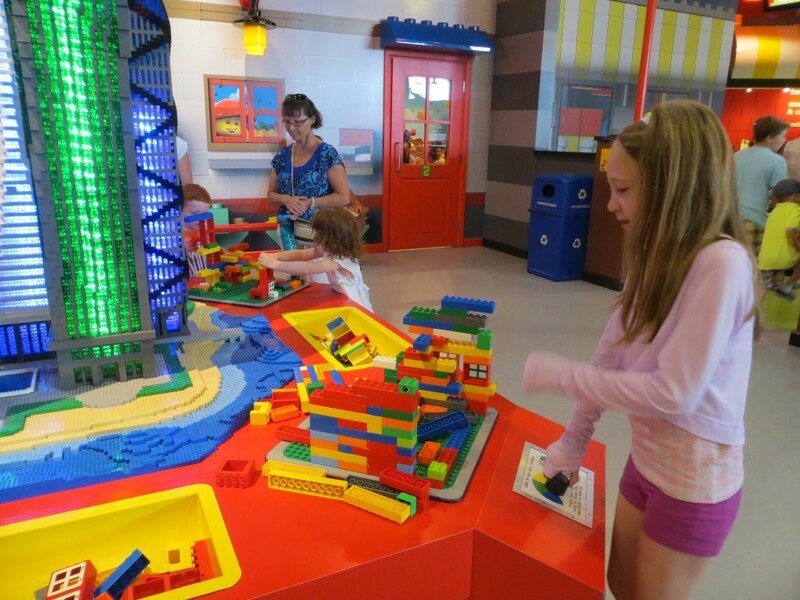 LEGOLAND Discovery Centres are fun play spaces geared toward younger kids and their families. The uppermost age range that would be interested in most of the activities is probably 10-12, although older kids who are serious LEGO fans might enjoy a visit as well. Adult LEGO fans, however, should be aware that entry is prohibited unless accompanied by a child. Admission is not cheap, so parents are most likely to view it as money well-spent if they have kids who particularly love LEGO products. 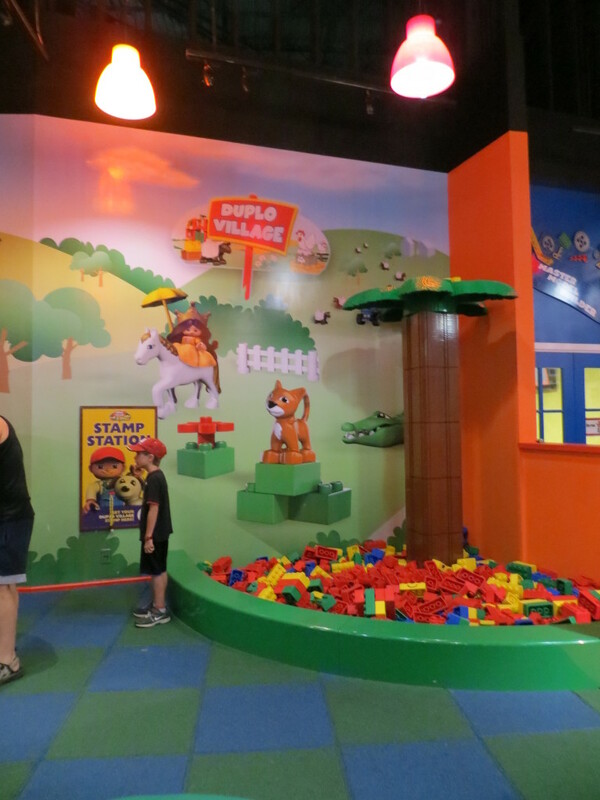 If the kids racing around and the excited squeals of delight are any indication, then the families at LEGOLAND Discovery Centre Toronto were getting their money’s worth of LEGO building fun. 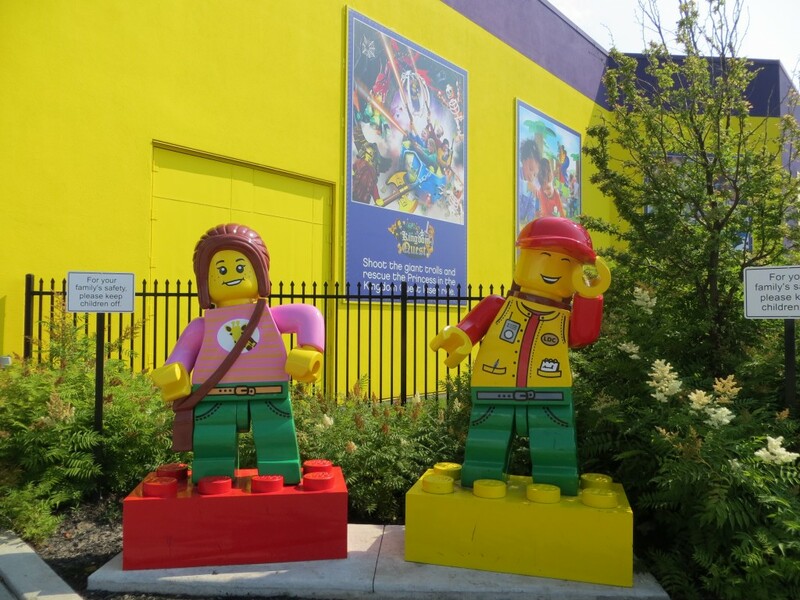 A Note from the Spunky Travel Mama: Thank you to LEGOLAND Discovery Centre Toronto for providing us with complimentary admission to the attraction. Opinions are my own, as always. So glad there is a finally a LEGOLAND in the great white north! And that they had the smarts to make it an indoors attraction. Hoping to get there with my girl in the next year or so.